Have you seen the latest McDelivery video? I so love how the couple helps each other in putting their babies to sleep. I also find them both cute on reminding each other to move with less noise as much as possible. That’s how I was with my boys and husband. They have known me so well that everytime they make unnecessary noise, they would check on me to confirm that I was indeed looking daggers at them. But what notably made me fall for the commercial was how the delivery man reacted. He was so sensitive to the demands of the father that he acted accordingly to the need of the situation. He even remained careful even outside of the housing unit already. I remember that as a kid, my favorite meal is spaghetti. It is still my favorite now that I am a mom of five boys. I often cook spaghetti for my family and it has become a staple pasta dish in our household. In every special occasion, we always have spaghetti. Sometimes when we are out, we crave for it and the closest version of home is the new and improved McSpaghetti. 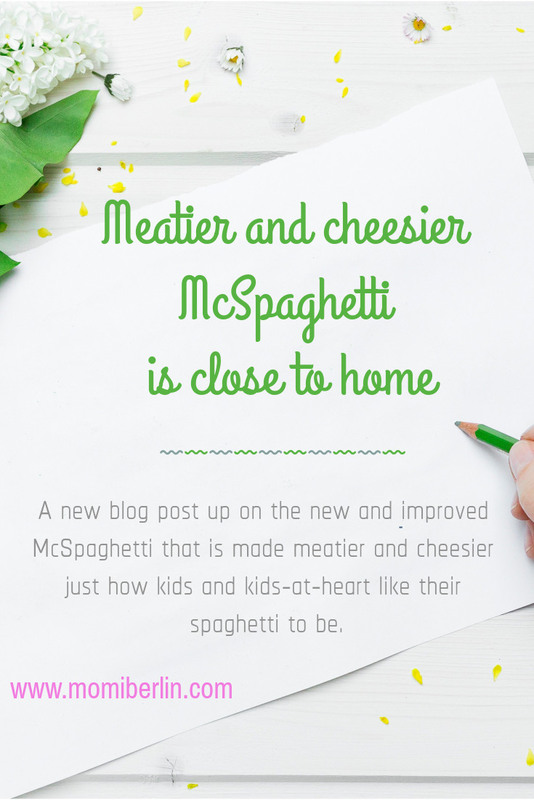 Now, it is made meatier and cheesier, just how kids and kids-at-heart like their spaghetti to be!